*شومارە بازیا و گولیا فأقأط مال بازیا لیگ مینجا ڤولاتیە . ٱلکس فرگوسن یاٛ گاٛل آموختارکار فۊتبال اینگیلیسیٱ. ↑ "Sir Alexander Chapman Ferguson". mufcinfo.com. http://www.mufcinfo.com/manupag/managers/mangers_pages/ferguson_alex.html. Retrieved 12 July 2011. ↑ McColl, Brian; Gorman, Douglas; Campbell, George. "FORGOTTEN GLORIES – British Amateur Internationals 1901–1974". pp. 318. http://www.scottish-football-historical-archive.co.uk/Forgotten%20Glories.pdf. ↑ Bell, Stephen; Zlotkowski, Andre (6 June 2008). "Scotland XI Tour of Asia and Oceania 1967". Rec.Sport.Soccer Statistics Foundation. http://www.rsssf.com/tabless/scotlandxi-asotour67.html. Retrieved 5 March 2011. ↑ "Alex Ferguson". London Hearts Supporters' Club. 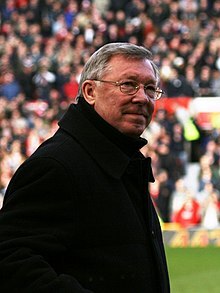 http://www.londonhearts.com/SFL/players/alexferguson.html. Retrieved 5 December 2011. د نۊ زنٱ بیٱ د"https://lrc.wikipedia.org/w/index.php?title=ألئکس_فئرگوسئن&oldid=84546"
اؽ بٱلگٱ ایسنؽا آلشت بیٱ د ‏۳۱ دسامر ۲۰۱۷، د ‏۱۷:۴۰.